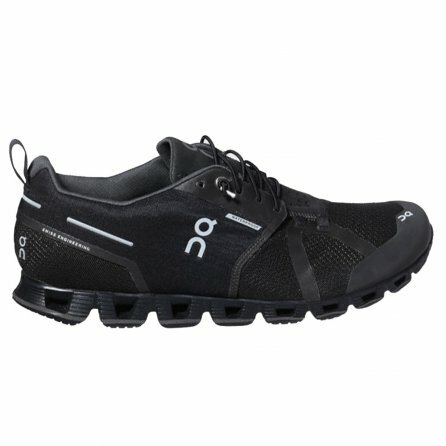 Rainy days mean clouds overhead, but they also mean you get to have ON Cloud Waterproof Running Shoes on your feet. They feature the same innovative design as other ON running shoes, like Speedboard construction and a CloudTec® Outsole that pushes you forward with every step while cushioning the impact every time. And since this shoe is designed for less than ideal weather, there's a waterproof (and windproof) membrane built into the upper, providing protection from rain, snow, and puddles of all kinds.